Four years ago, the Syrian people were fresh with revolutionary spirit after watching their Middle Eastern counterparts all revolt to certain degrees of success and decided that they themselves would take part in the democratic experiment. The results have disastrous. 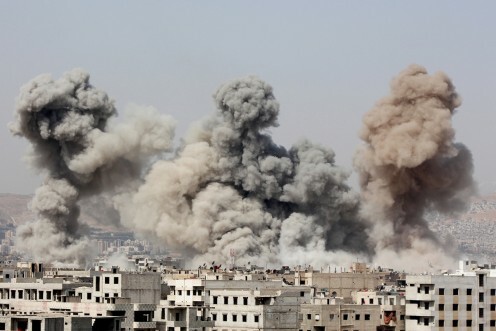 The Syrian Civil War has devolved into a bloody and convoluted catastrophe. The latest statistics paint a grim picture: according to the UN, over 300,000 Syrians have been killed and 2 million have either fled or been displaced. The overwhelming gravity of the situation comes from not only the obvious humanitarian disaster that is taking shape, but the ramifications of a destabilized Middle East that pose both a threat to the United States and the international community. What the Syrian people sought were political reforms and what President Assad saw was a massive uprising intended to overthrow his rule. What began in earnest protest led quickly to armed insurgency. As the conflict between Assad and his people grew, the White House decided that the means of resolution lay in the removal of the Assad Regime. But four years on it is clear that Assad is here to stay. The “Arab Spring” and its democratization of the Middle East has not been extended to Syria due to a regime too firmly entrenched and too strongly support by its allies to be toppled by its own people. 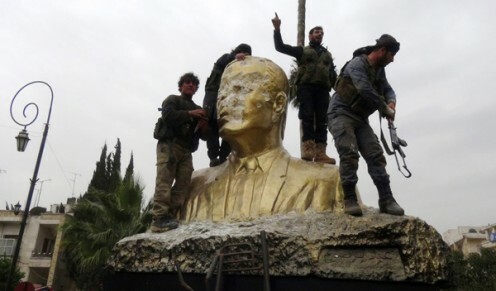 The Assad Regime has been stubborn but Washington has proved itself to be equally as stubborn. 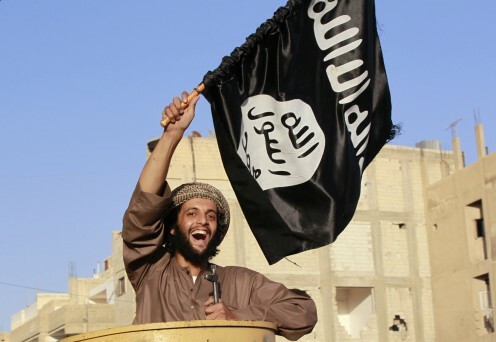 Washington’s policy of arming, funding, and equipping rebel groups has in fact had averse effects: many of the equipment provided to the rebel groups has been found in the hands of the Islamic State and other extremist groups such as Jabhat Al-Nusra (Al Qaeda in the Levant). The United States has engaged in a practice of regime toppling in the Middle East for nearly the past-half century to no avail and yet, the Obama Administration refuses to acknowledge that there is an alternative. 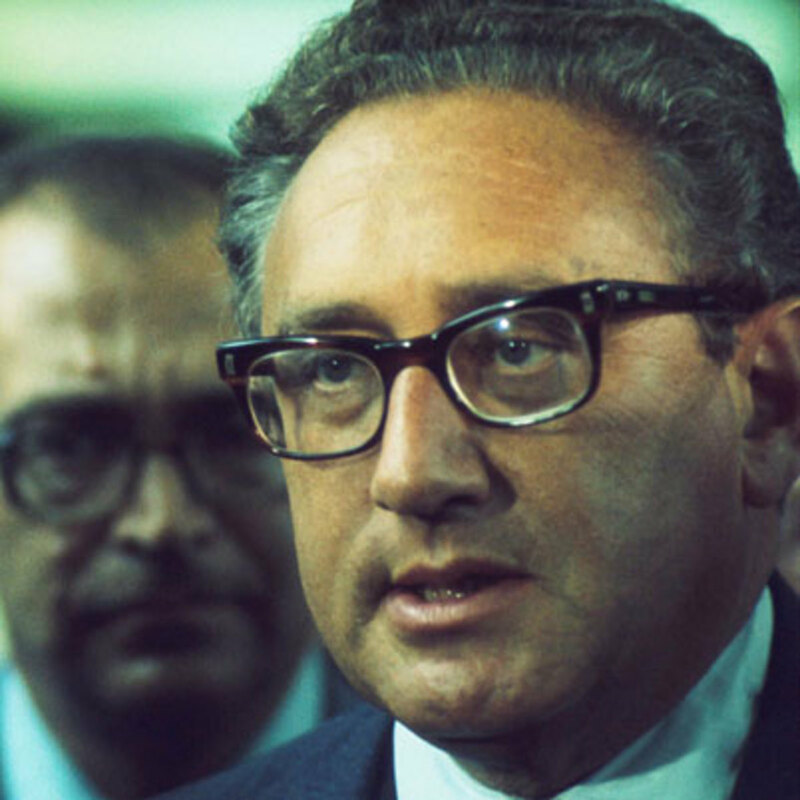 To find a diplomatic solution to this conflict, President Obama must channel Kissinger. 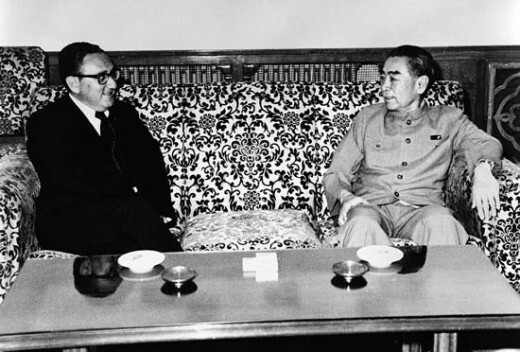 As Kissinger sought to tailor the American endgame in Vietnam to peace with honor, he engaged in serious negotiations with both the Soviet Union and China. To some in Washington, that was the equivalent of selling out, but Kissinger understood that in order to save America’s collective face and bring an end to war, Soviet and China needed to recognized as legitimate world powers and thus be brought to the negotiating table. Likewise, Russian and Iran must be brought to the negotiating table. Russia and Iran currently do not resemble the Soviet Union and China at the height of the Cold War but together they stand at the opposite side of the Syrian conflict that has devolved into a full-blown proxy war of east vs. west. Just as the Soviet Union and China provided North Vietnam with great financial, diplomatic, and logistical support, Russia and Iran are the regime’s closest allies. In fact, Assad’s only concession in four years of war was giving up chemical weapons at the behest of Russia and Iran. The only real chance of ending the conflict was for the United States and Russia to be joined by Iran, Turkey, and Saudi Arabia in preparing a comprehensive peace proposal. An immediate ceasefire, the establishment of a national unity government, the anchoring of minority rights in the constitution, and internationally supervised elections in Syria. East and west must come together once more and invite the most powerful Muslim nations in the region to form a coalition that has both the capability and credibility to end the Syrian conflict and address the extremist problem. Thus, a coalition including both Turkey and Saudi Arabia, the Middle East’s biggest regional superpowers, combined with support from the UN would be able to implement some form of the Iranian Plan. Assad will not end the conflict on terms imposed by the west, but by terms given to him by Moscow and Tehran. Once peace is reached in Syria, the threat of ISIL and other extremist groups can be addressed. In a recent meeting with Secretary Kerry, Russian Foreign Minister Lavrov stated that Russia was ready to shift its focus toward dealing with ISIL. President Obama has thus far elected to place a small contingent of special forces in Syria to conduct the precision bombing aerial campaign. That is the extent to which the United States should intervene militarily in Syria. In dealing with the threat of ISIL and other extremist groups, the United States should simply provide logistical support for combat operations conducted by the surrounding Muslim nations. Combating extremism is a war for the soul of Islam and the Muslim nations must step up and take responsibility. As with any international crisis, diplomacy must come first. Reaching out to our opponents in hopes of diffusing the situation takes precedence. It is what the United States must do to stop this ongoing bloodshed. Without a stable Syria, the United States and the international community cannot begin to address the growing cancer of extremism. JG Hemlock your statement completely misses the point. You are engaging in the straw man fallacy and thus, your argument is void. I am not arguing that Kissinger is not a war criminal; rather, I am arguing that Kissinger was able to find a diplomatic solution and that we as a nation must refer to his sound judgement in this particular instance. I am not endorsing any of his other actions. Please read the article and leave meaningful and intelligible comments, not mindless garbage. Kissinger is nothing but a war criminal. He is behind most wars and the assassinations of people.